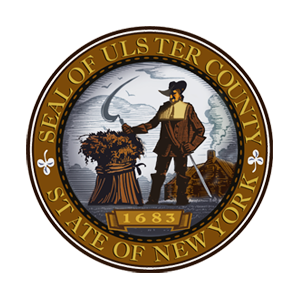 This privacy notice discloses the privacy practices for (ulstercountyny.gov), hereafter referred to as “The Website” and/or “Site”. This privacy notice applies solely to information collected by this website. * Personal Information: In the course of using The Website, we may require or otherwise collect information that identifies you as a specific individual and can be used to contact or identify you (“Personal Information”). Examples of Personal Information include your name, email address, company address, billing address, and phone number. * Payment Information: If you use The Website to make payments, we will also collect certain payment information, such as credit card, PayPal or other financial account information, and billing address. * General Audience Service: The Website is for a general audience and intended for users 18 and older. We do not knowingly collect Personal Information from anyone younger than age 18. If we become aware that a child younger than 18 has provided us with Personal Information, we will use commercially reasonable efforts to delete such information from our files. If you are the parent or legal guardian of a child younger than age 18 and believe that we have collected Personal Information from your child, please contact us at: The Website. * Combination of Personal and Non-Identifying Information: Certain Non-Identifying Information would be considered a part of your Personal Information if it were combined with other identifiers in a way that enables you to be identified (for example, combining information with your name). But the same pieces of information are considered Non-Identifying Information when they are taken alone or combined only with other non-identifying information (for example, your viewing preferences). We may combine your Personal Information with Non-Identifying Information, but we will treat the combined information as Personal Information. * Web Beacons: We and our marketing partners, affiliates, analytics, and service providers may also employ software technology known as “web beacons” and/or “tracking tags” to help us keep track of what content on our website is effective and to serve relevant advertising to you. Web beacons are small graphics with a unique identifier that may be invisible to you, and which are used to track the online activity of Internet users. Web beacons are embedded in the web pages you review or email messages you receive. Web beacons or similar technologies may be used for a number of purposes, including, without limitation, to count visitors to our website, to monitor how users navigate the website, to count how many emails that were sent were actually opened, or to count how many particular articles or links were actually viewed. * Embedded Scripts: We and our marketing partners, affiliates, analytics, and service providers may also employ software technology known as an Embedded Script. An Embedded Script is programming code that is designed to collect information about your interactions with the website, such as the links you click on. The code is temporarily downloaded onto your computer or other device and is deactivated or deleted when you disconnect from the The Website. * In addition, we and our marketing partners, affiliates, analytics, and service providers may use a variety of other technologies (such as tags) that collect similar information for security and fraud detection purposes and we may use third parties to perform these services on our behalf. may also use Device Identifiers to identify website users, and may do so in cooperation with third parties at our discretion. * Sweepstakes, Contests and Promotions: We may offer sweepstakes, contests, and other promotions (any, a “Promotion”) that may require registration. By participating in a Promotion, you are agreeing to the official rules that govern that Promotion, which may contain specific requirements of you, including, except where prohibited by law, allowing the sponsor(s) of the Promotion to use your name, voice, likeness or other indicia of persona in advertising or marketing associated with the Promotion. If you choose to enter a Promotion, your Personal Information may be disclosed to third parties or the public in connection with the administration of such Promotion, including, without limitation, in connection with winner selection, prize fulfillment, and as required by law or permitted by the Promotion’s official rules, such as on a winner’s list. opt out of interest-based advertising, please contact us through The Website, please note you will continue to receive generic ads. We take a number of steps to protect your data, but no security is guaranteed. We take commercially reasonable steps to help protect and secure the information it collects and stores about our Users. When you enter sensitive information, we encrypt the transmission of that information using secure socket layer technology (SSL). We also use HTTP strict transport security to add an additional layer of protection for our users. But remember that no method of transmission over the Internet, or method of electronic storage, is 100% secure. Thus, while we strive to protect your personal data, we cannot ensure and does not warrant the security of any information you transmit to us.